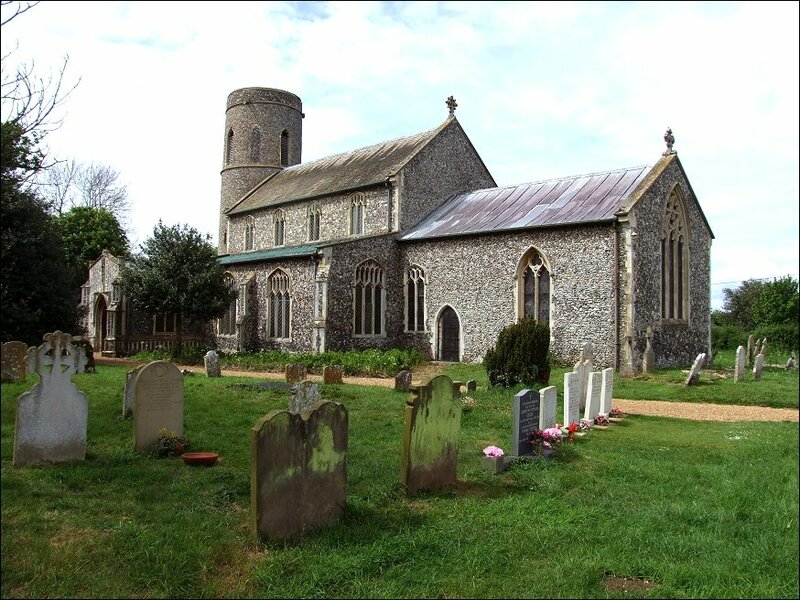 2002: I came here from Mendham, and took the risk of crossing into Norfolk to get here - partly for the thrill of it, but mostly because it was a shorter route. Well, the three miles I cycled dumpling-side were uneventful. The road was straight, and led towards Harleston, and there was no one much about. I saw a man standing among some sheep and smiling serenely, and I wondered if it was true what my mother had said Norfolk people did to sheep (mind you, I'm from Cambridgeshire, and nobody smiles in Cambridgeshire. We scowl). A couple of people were walking their dog, but I didn't say hello in case they tried to flag me down and barter it for my jeans. Crossing back into civilisation with some relief, I found Weybread, a surprisingly busy village, and its tight little church of St Andrew. 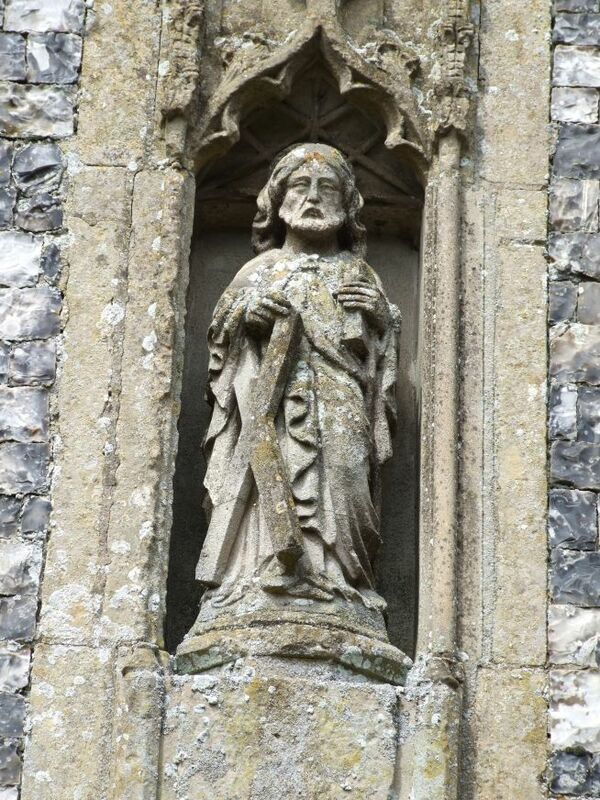 The tower is probably Norman, and there is a fine porch with a modern image of St Andrew. The churchyard is a lovely one, enclosed by an old wall and smelling sweetly of cut grass. The door was open, and I stepped inside. This is a trim, tidy church, with the proper feel of a Victorian rustic parish. This is mostly the result of Richard Phipson's going over of it in the 1860s. 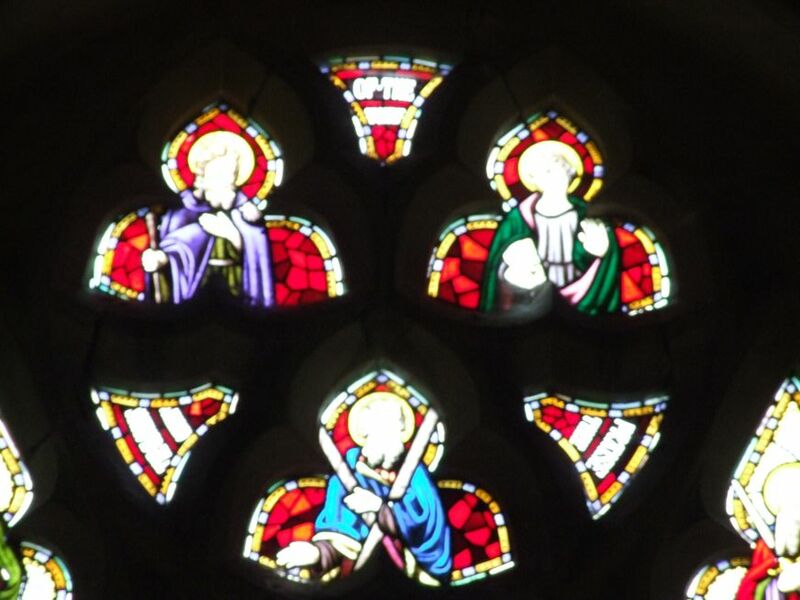 There is some excellent and articulate 19th glass in the east window, featuring an Ascension scene above a Crucifixion, Adoration and the Three Marys at the empty tomb. 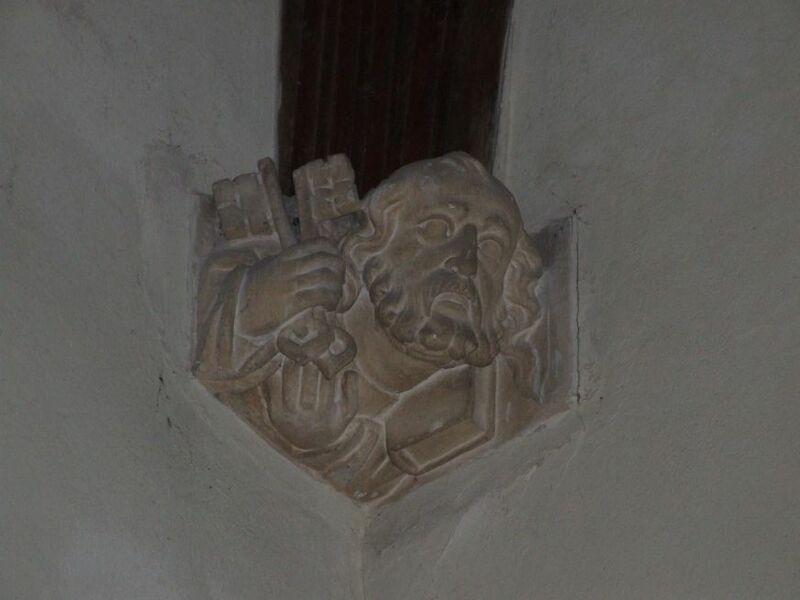 The restoration was, perhpas, a little heavy-handed. Here, perhaps Phipson took himself a little seriously. 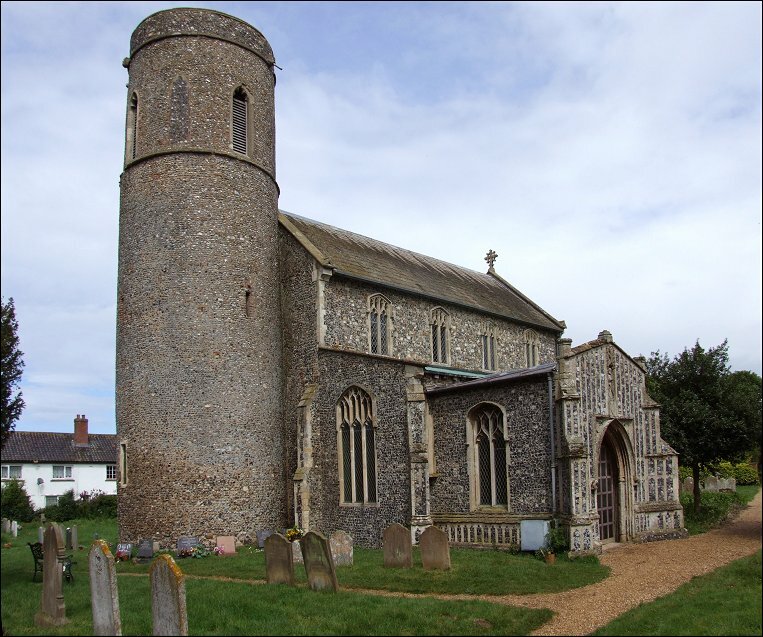 This job was in the days before he became Diocesan architect, and he doesn't have the flair he would exhibit later at St Mary le Tower in Ipswich. 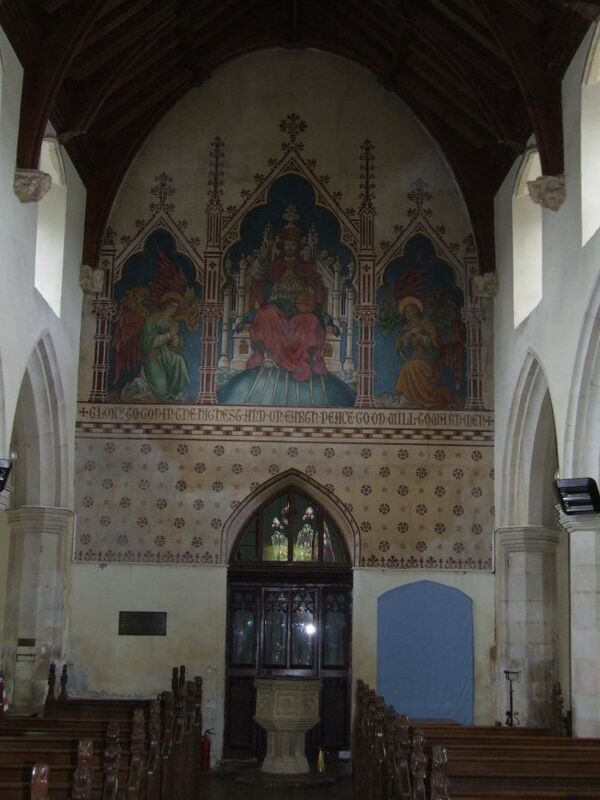 Everything was renewed, pretty much; the font, for example, is not very sympathetic, but the chancel arch is rather good. Still, you don't always need medieval survivals to provide interest. As you walk up towards the holy end, turn back, and gasp with surprise. 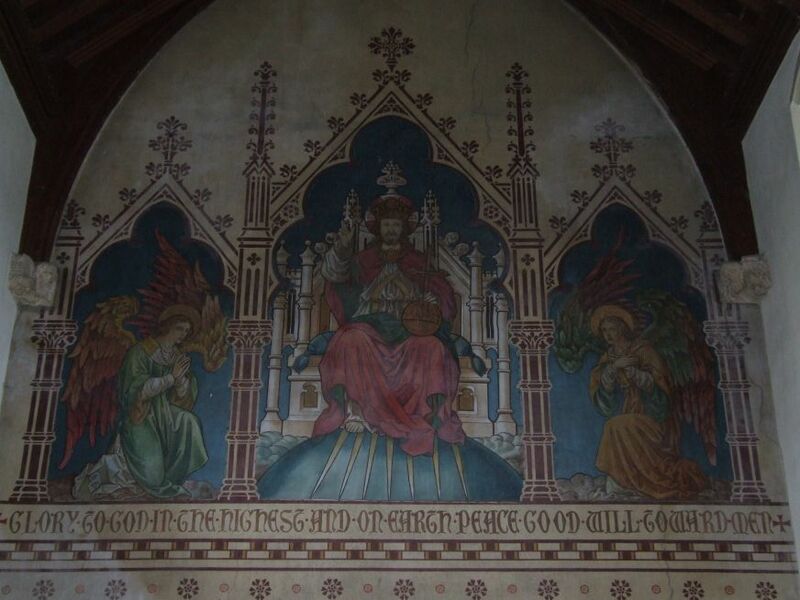 The entire west wall above the tower arch is filled with a glorious wall painting of Christ the King. It post-dates Phipson, being from the 1890s, and people who know about these things tell me that it is by Clayton and Bell. It commemorates two children of a former Rector, and is the sort of thing you might expect to see in a London Anglo-catholic shrine. 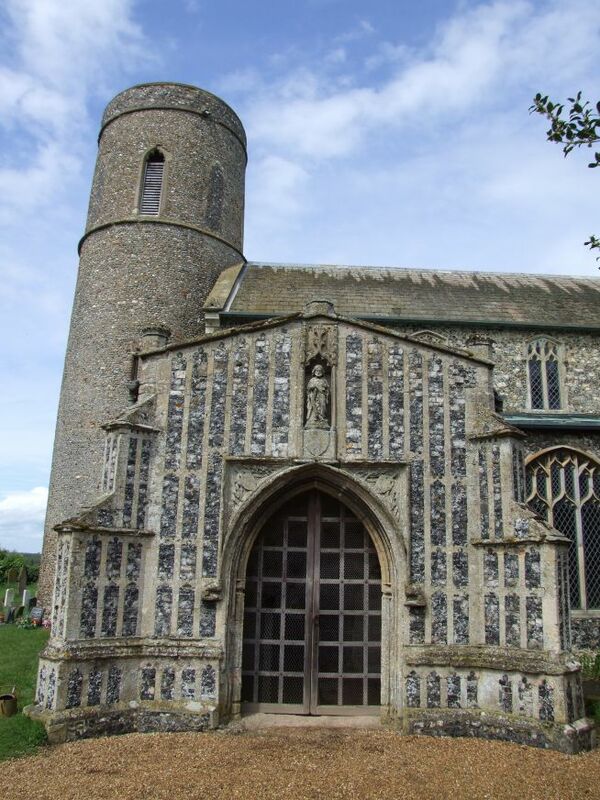 It is certainly very unusual for Suffolk. 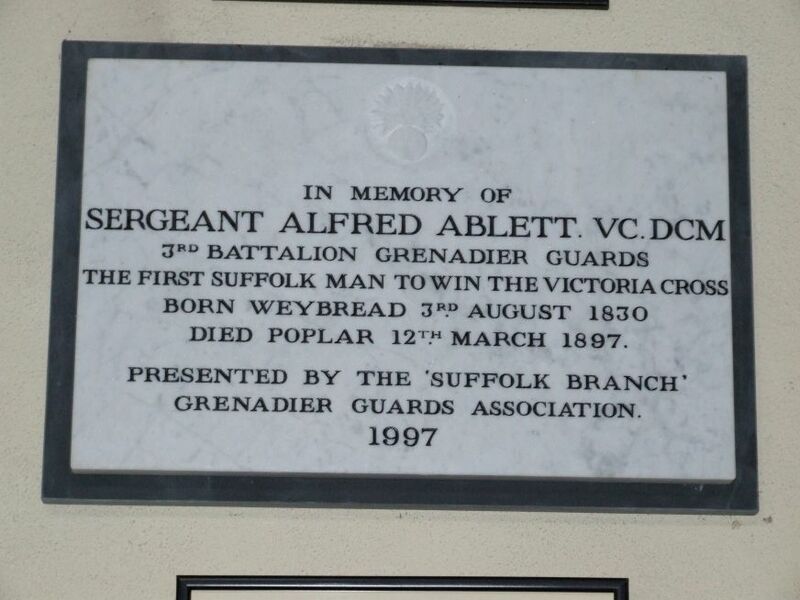 On the wall of the north aisle there is a memorial plaque, and explanatory notice, for Suffolk's first winner of the Victoria Cross, Alfred Ablett. 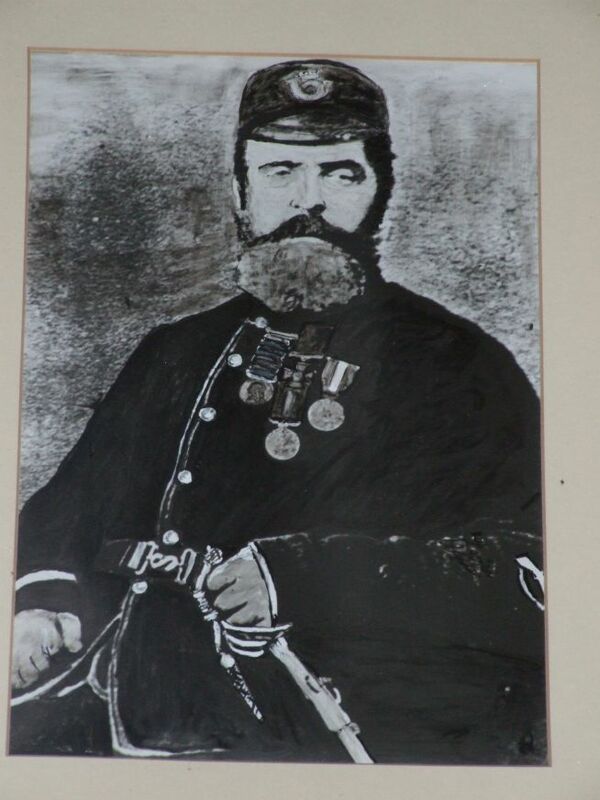 He was born in Weybread in 1830, and won his VC during the Crimean War. He died in London, but according to Mortlock he was brought home to be buried in an unmarked grave. I thought this rather curious. I mean, if you were proud enough of your native son to bring him home for burial, you'd probably put up some sort of memorial, wouldn't you? 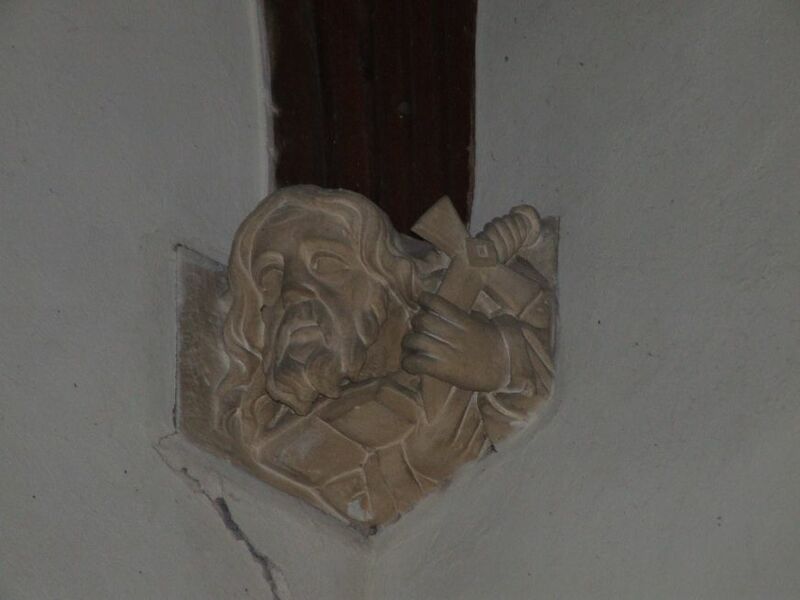 The one on the wall in the church dates from 1997, the centenary of his death. Perhaps the family ran out of money, or they never got around to it. Strange. Another fascinating detail is that each pew bears the word 'free' on the end. This dates from the time that pew rents were abolished, but it is rather unusual to see these signs. I assumed that the benches had probably been made at about the same time as the abolition rule was passed, and the signs affixed in a moment of democratic triumphalism. 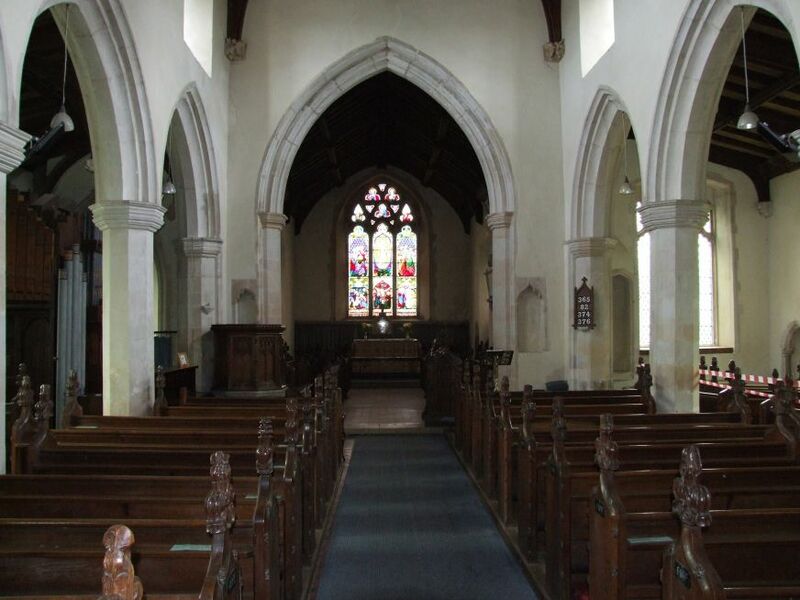 Free sittings were a project of the Anglican revival of the mid-19th century, of which this church is a document and a testament. 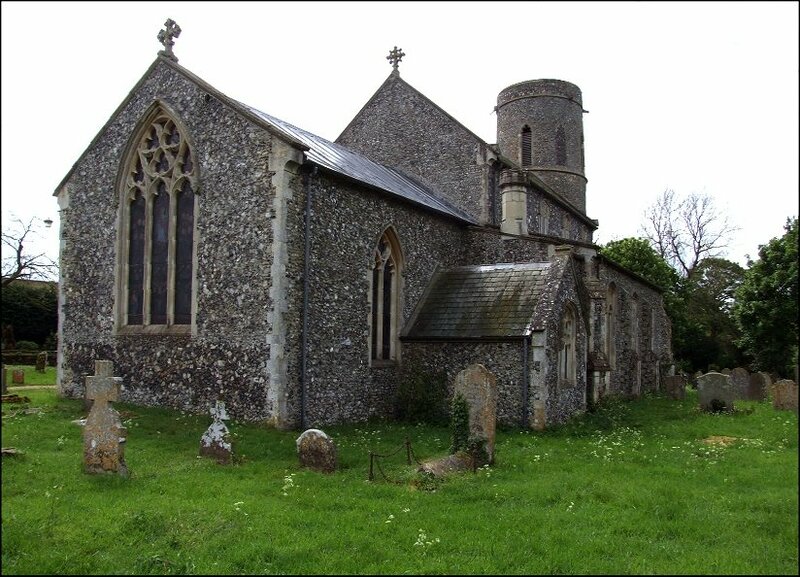 All in all, this is a nice church; probably not one that attracts too many church enthusiasts, but worth a visit if you are sampling the nearby delights of Fressingfield and Withersdale. That was where I was bound next, and I got on my bike still pondering the mystery of Alfred Ablett's missing tombstone. 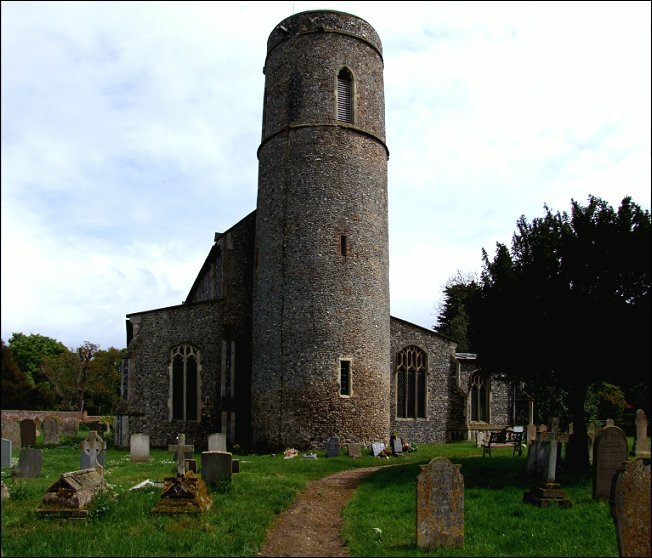 St Andrew, Weybread, is just to the south of the Norfolk town of Harleston. You'll find the church up a lane to the west of the main road. I found it open.